Some football fans will never love Tony Pulis because even his detractors must acknowledge that he has done a terrific job since succeeding Ian Holloway as Crystal Palace manager. Crystal Palace was everyone’s hot tip to be relegated from the English Premier League before the Eagles, after much deliberation, appointed Pulis on 23 November. Pulis had played alongside Holloway during their time together as Bristol Rovers players in the 1980s so it was fate that Crystal Palace chose Pulis to take over from Holloway. Holloway resigned his position as Crystal Palace boss after the Eagles had accrued just three points from their first eight English Premier League games. Not only did Crystal Palace look like a certainty to drop down to the English Championship but also it was short odds to finish bottom. And Crystal Palace collected only one point from its three English Premier League matches between parting company with Holloway and hiring Pulis. The Eagles were in big trouble. Crystal Placed kicked off its Pulis era with a fortunate 1-0 away win at Hull, Barry Bannan scoring for the Eagles three minutes after Yannick Bolasie received his marching orders. Pulis watched Crystal Palace’s victory over Hull from the stands, with Keith Millen being the official manager for the game. 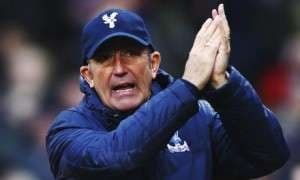 But the presence of Pulis made a difference, there is no doubt about it. If one includes that match then Crystal Palace’s English Premier League record under Pulis reads nine wins, three draws and nine losses. That works out to 30 points from 21 English Premier League games, which would be 54 points over the course of a 38-round season. Fifty-four points would be sufficient for a top-10 finish this term. Saving Crystal Palace from English Premier League relegation and earning the equivalent of 54 points this season is how one should judge the work of Pulis at Selhurst Park. And surely that means that Tony Pulis is over the odds at 11.00 with BetVictor to receive the League Managers Association Manager of the Year award. After all, it is not as though the League Managers Association simply recognises the trophy winners. The League Managers Association Manager of the Year award has been around since 1994 and yet just five times has the winning English Premier League boss collected the prize. On the League Managers Association Manager of the Year are the likes of Alan Curbishley (Charlton, 2000), Roy Hodgson (Fulham, 2010) and David Moyes (Everton, 2003, 2005 and 2009). And everyone knows that Moyes did not win a single trophy during his 11 years as the Goodison Park gaffer. Surely the only threat to Pulis winning the League Managers Association Manager of the Year award is Brendan Rodgers, who will be lauded as a genius if Liverpool wins its first English title since the Premier League’s inception in 1992. Rodgers is doing a phenomenally good job at Liverpool and, if the Reds win their first championship since 1990, it will be in spite of having to start the season without their star player, Luis Suarez, due to suspension. But one has to note that Liverpool is odds against to win the English Premier League and, also, it did not have the distraction of UEFA competition commitments this term, unlike its title rivals. Manchester City supremo Manuel Pellegrini is lower odds than Pulis to receive the League Managers Association Manager of the Year prize but, even if the Citizens regain the English Premier League crown, one could genuinely argue that they have underachieved given their resources. Manchester City made hard work of winning the English Capital One Cup and its UEFA Champions League campaign did not shine brightly. Roberto Martinez has filled the void at Everton caused by David Moyes defecting to Manchester City but it is silly that the Toffees boss is the same odds as Pulis to be the League Managers Association Manager of the Year. The only other likely lads are Nigel Pearson of Leicester and Jose Mourinho of Chelsea but neither candidate appeals. 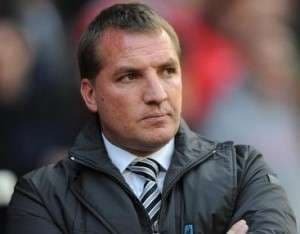 The style of football that Pulis favours means that he will never be everyone’s cup of tea but he has done a brilliant job at Crystal Palace and, provided that Rodgers does not lead Liverpool to English Premier League glory, he should be the League Managers Association Manager of the Year if the world is a just and fair place. One will bet that it is.